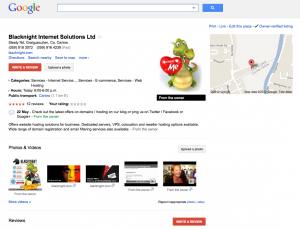 Getting found online these days is a “must” for any business – large or small. 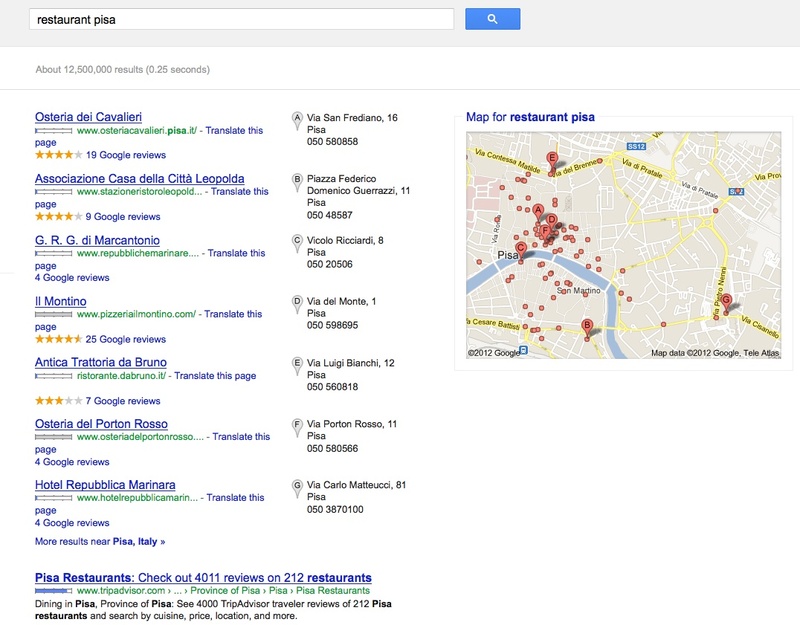 One of the relatively simple things you can do is make sure that your business is listed on Google places. 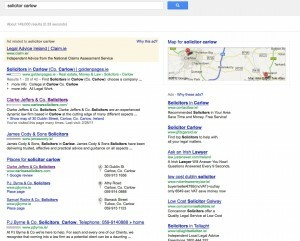 If you’re not already listed you can start the signup process online here. 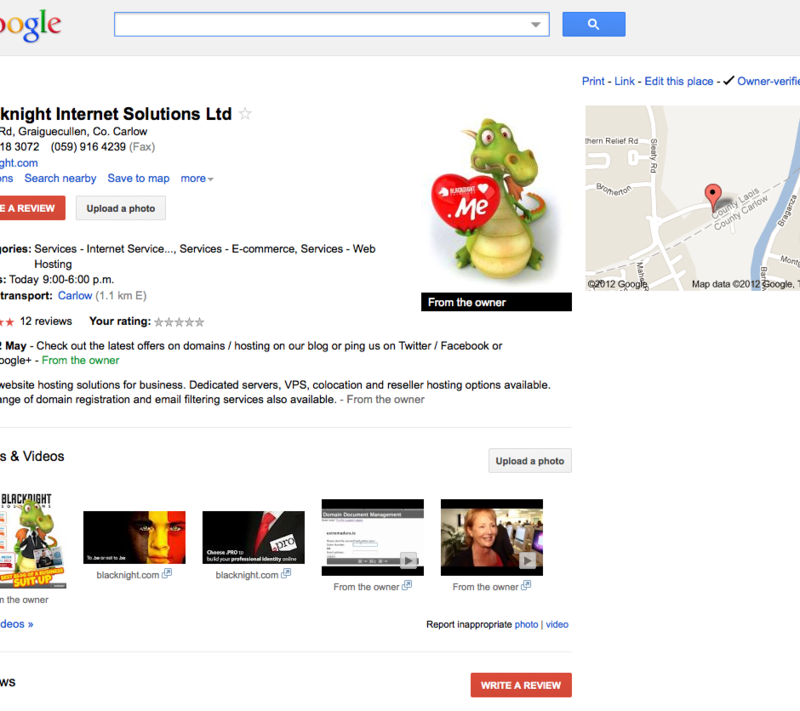 You will need to validate your business address before you can publish your listing on the Google places site. 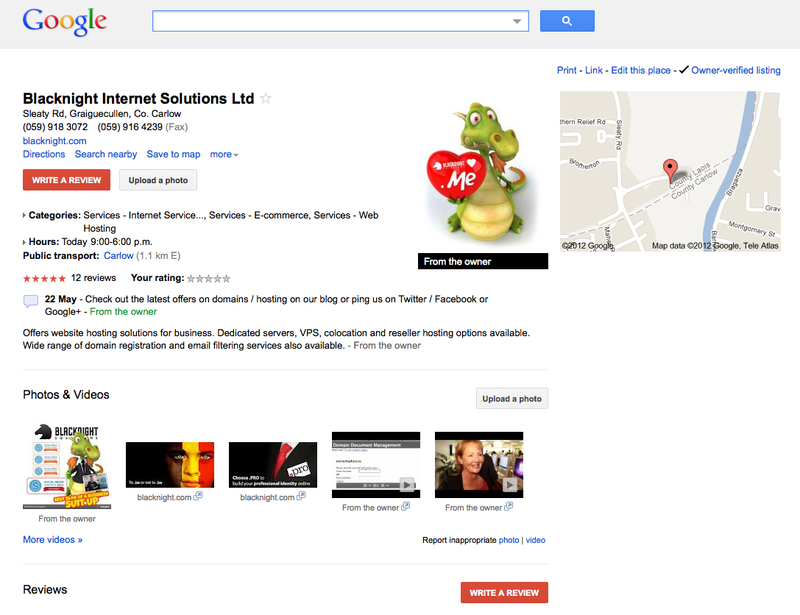 To make your “place” stand out a little from the crowd you can also upload photos and link to videos on Youtube. 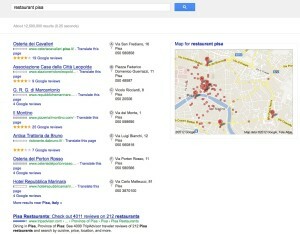 Where it gets really interesting, however, is with reviews and other user content. 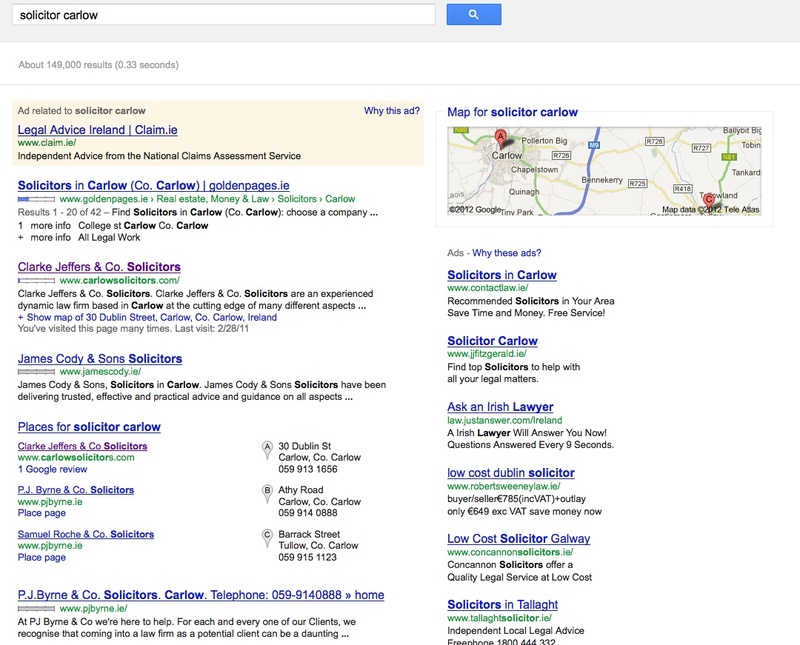 A search for "carlow solicitors"
Google seems to be using Google Places to influence their search results, particularly when you look for “local” products or services.